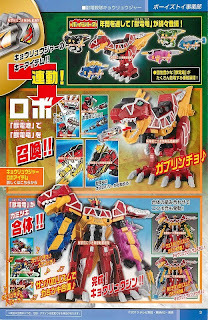 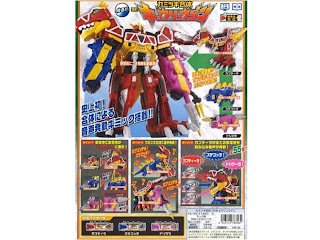 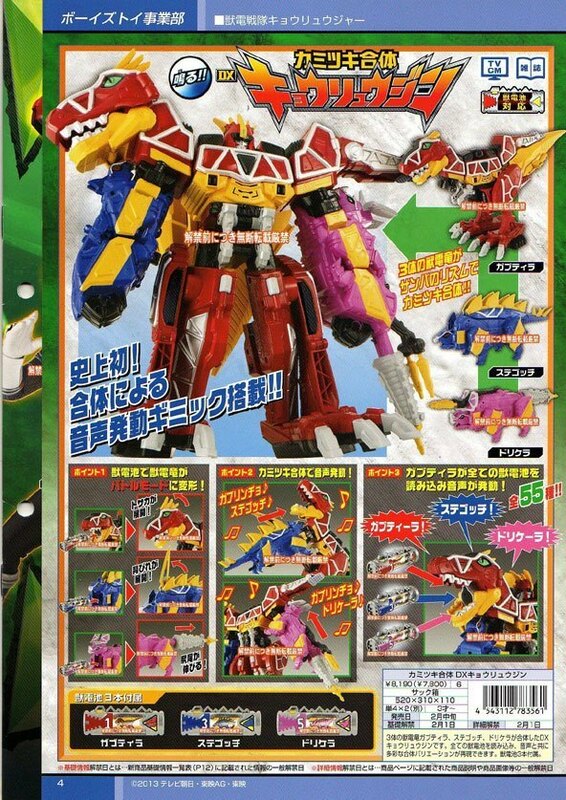 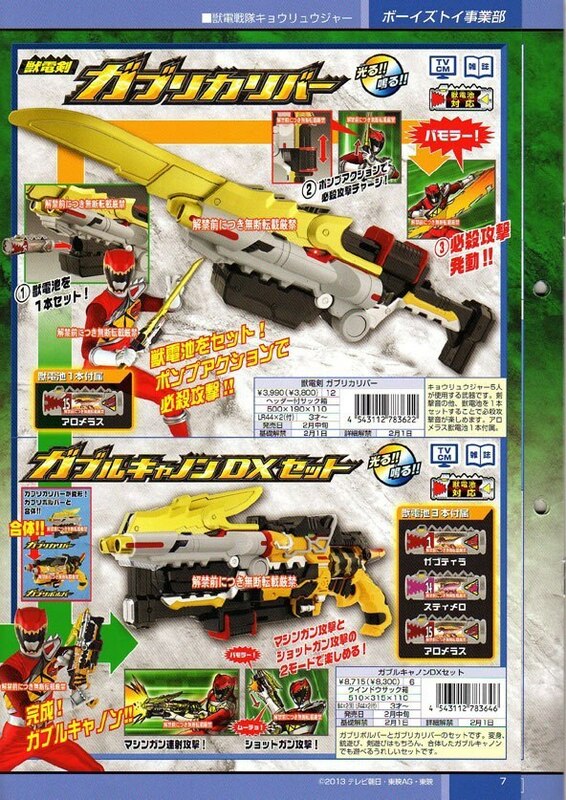 Toku Insider: KYORYUGER CATALOG PICS! 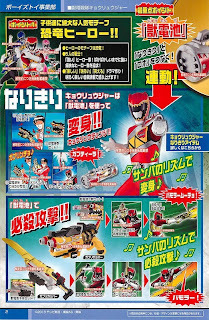 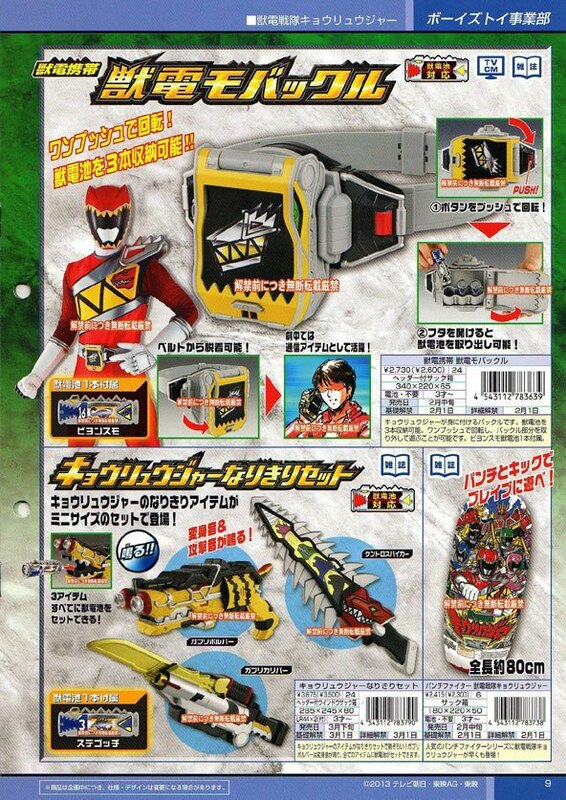 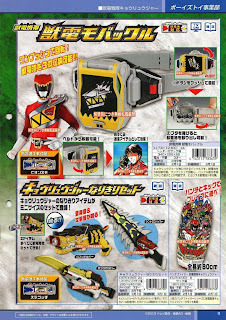 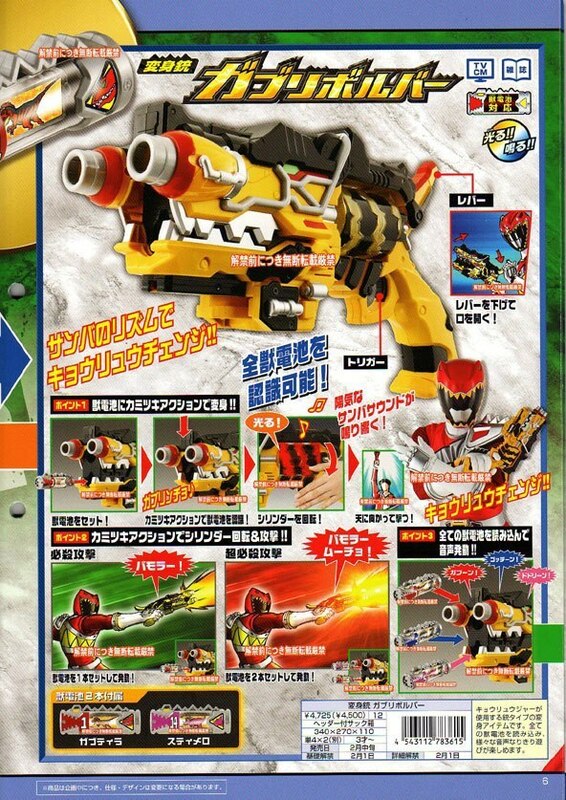 The GabuRevolver, the Kyouryuger's henshin device and gun weapon. 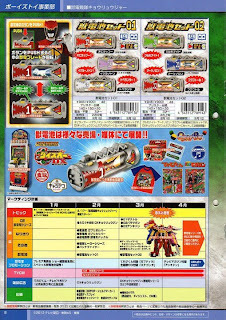 The toy comes with another JyuDenChi 01 (GabuTyra) and JyuDenChi 14 (Stymero). 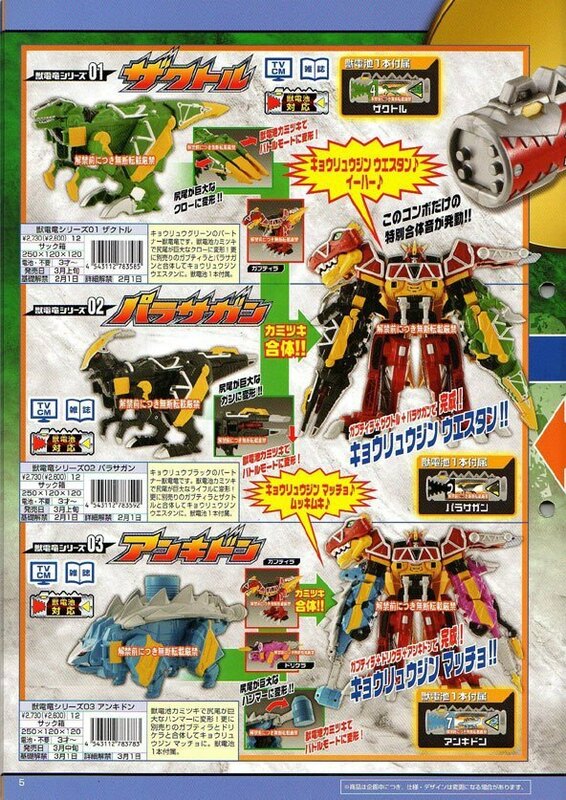 Stymero is a Styracosaurus- no word on if it will see a mecha form, or just act as a battery. 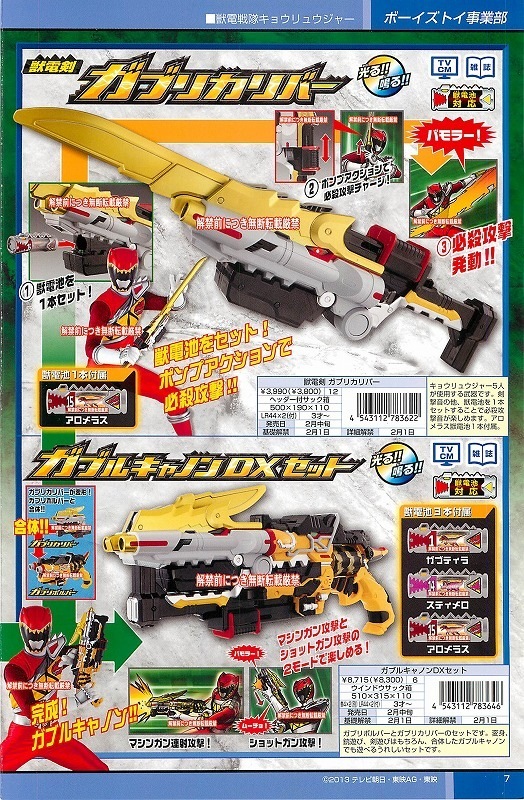 The Kyouryuger's sword- GaburiCaliber. 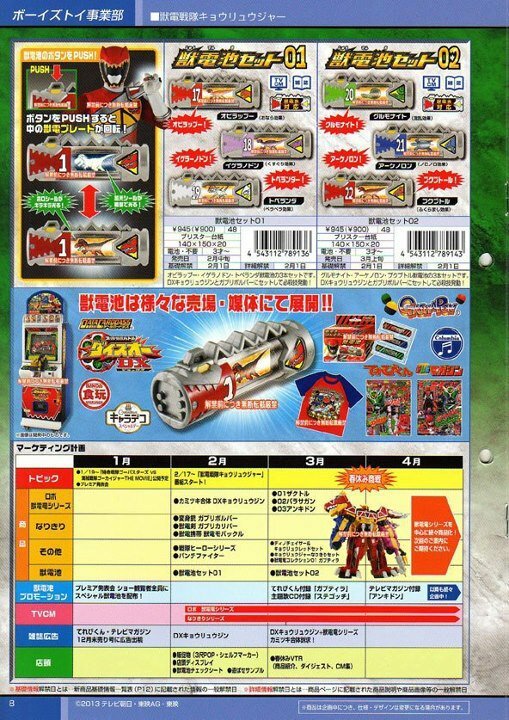 It comes with JyuDenChi 15 (Allomeras). 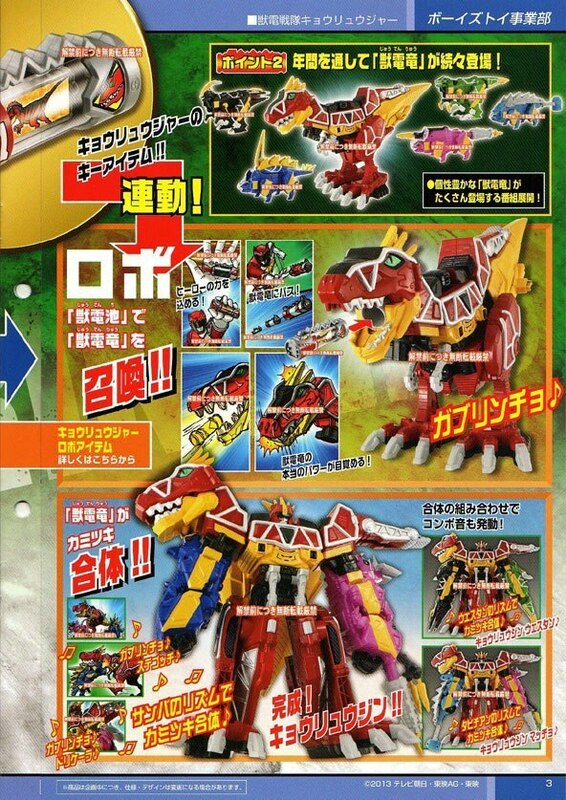 Allomeras is an Allosaurus- no word on if it will get a mecha form, or remain a battery. 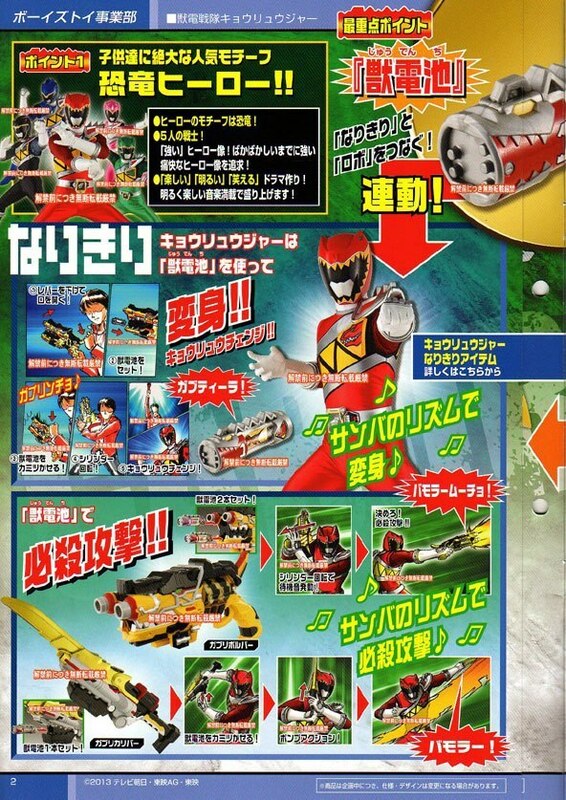 Both the GabuRevolver and GaburiCaliber can combine into the Gaburu Cannon. 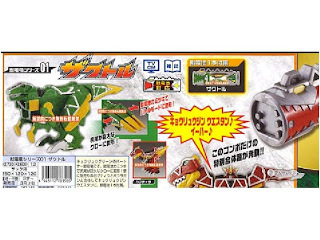 A Gaburur Cannon DX Set will be sold; including all 3 Batteries for the 2 weapons. The Kyouryuger, a strong group of 5 dinosaur based heroes who fight with a samba flare! 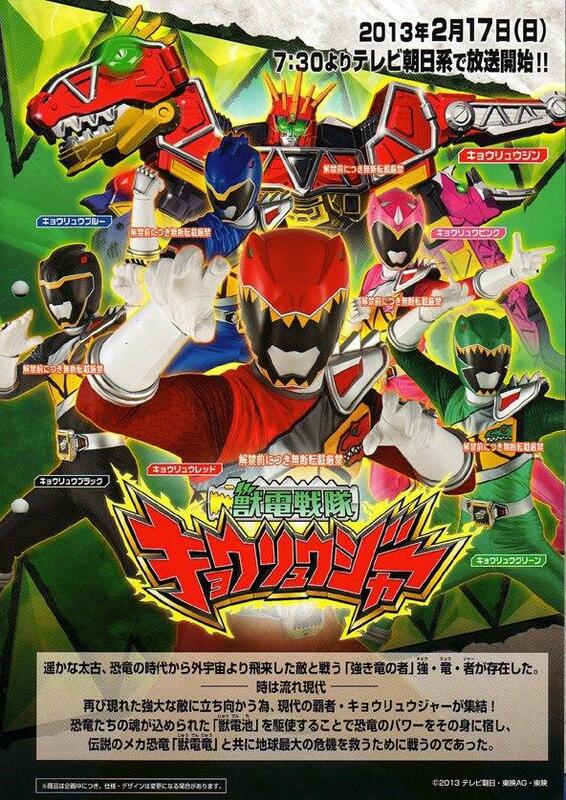 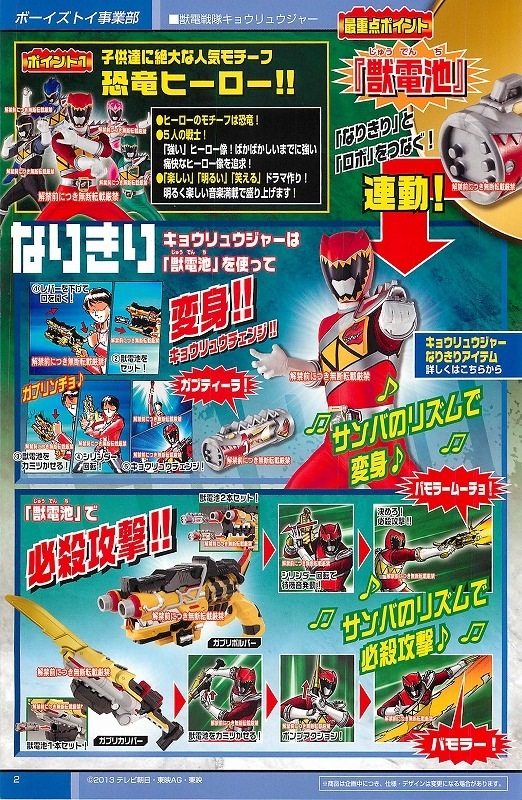 The Kyouryuger transform and power their arsenal with "JyuDenChi" (Beast Batteries.) 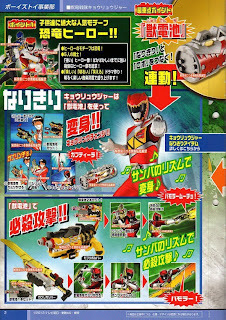 To "Kyouryu Change!" into Kyouryuger, one merely needs to place his personal JyuDenChi into the GabuRevolver; a dinosaur-esque gun. 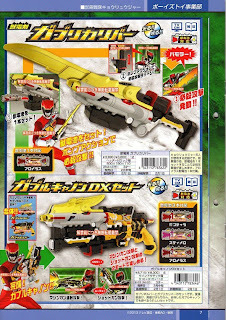 Besides the Revolver, the Kyouryuger also have use of the GaburiCaliber, a sword weapon. 2 batteries can be placed in the Revolver to form a finishing move; same goes for the Caliber. 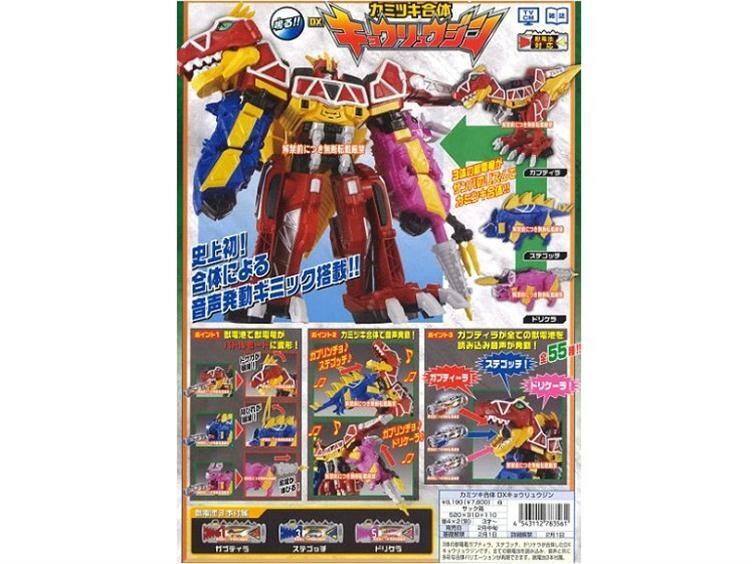 The JyuDenRyu can perform "Kamitsuki Gattai" (Biting Union) to form Kyouryujin, in it's many forms. 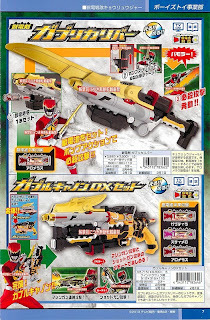 The JyuDenChi utilize a host of different sound are extremely play-worthy. 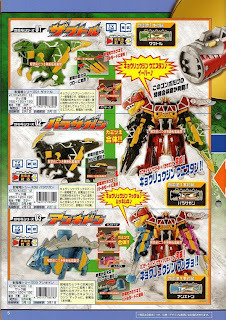 Warning: There is likely a lot more mecha to come! 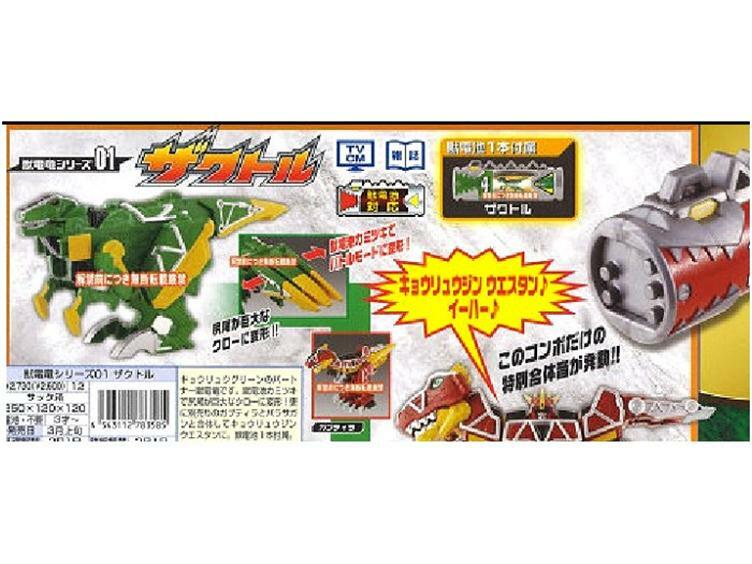 KyouryuGreen's partner dino. 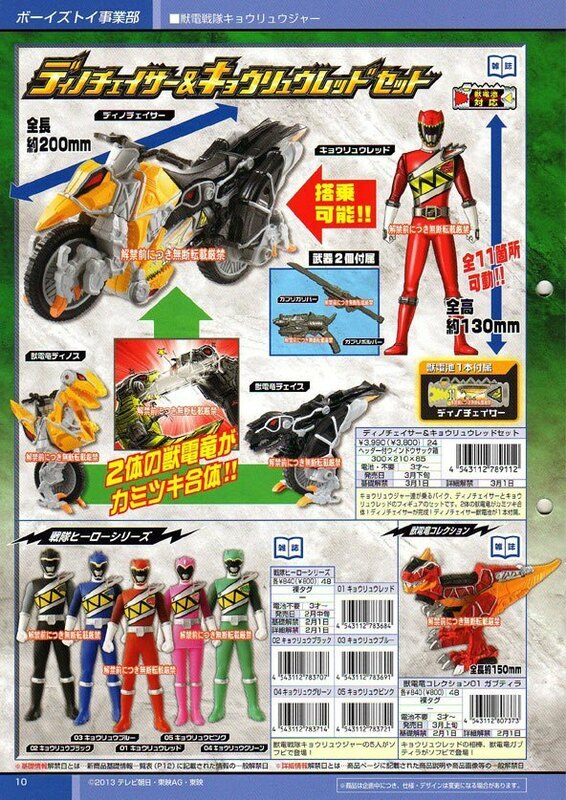 Can swap out in place of Dorikera. 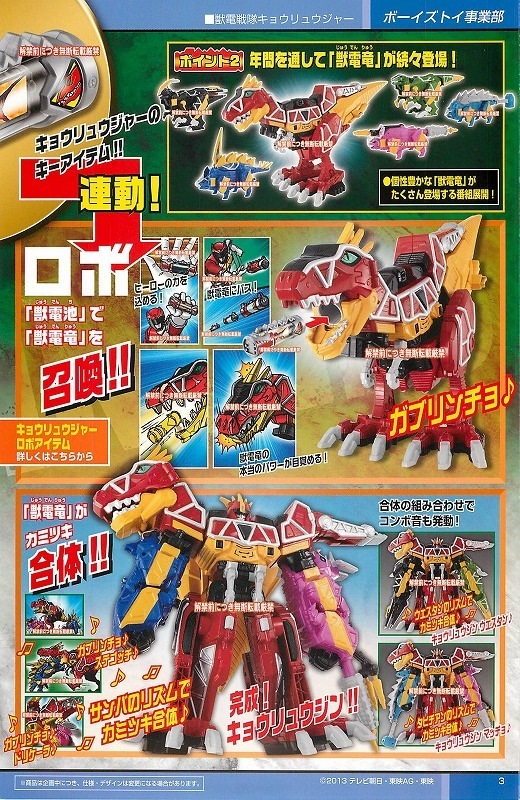 GabTyranno, it, and Parsagan form Kyouryujin Western! 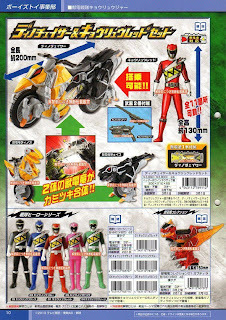 Comes with JyuDenChi 04 (Zactor). 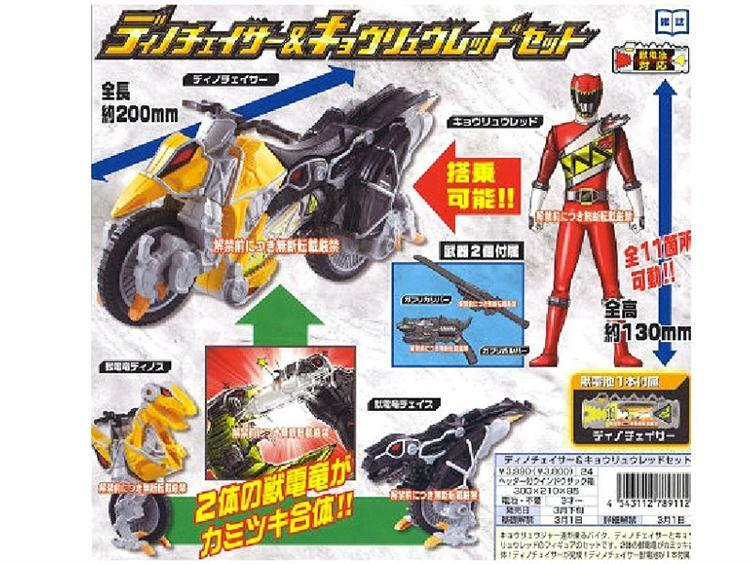 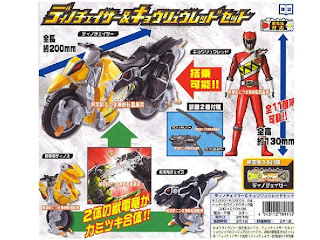 A bike formed from twin raptor like dinos. 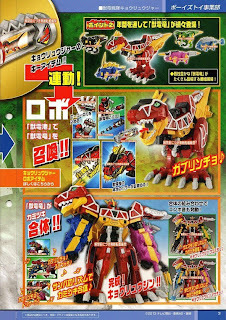 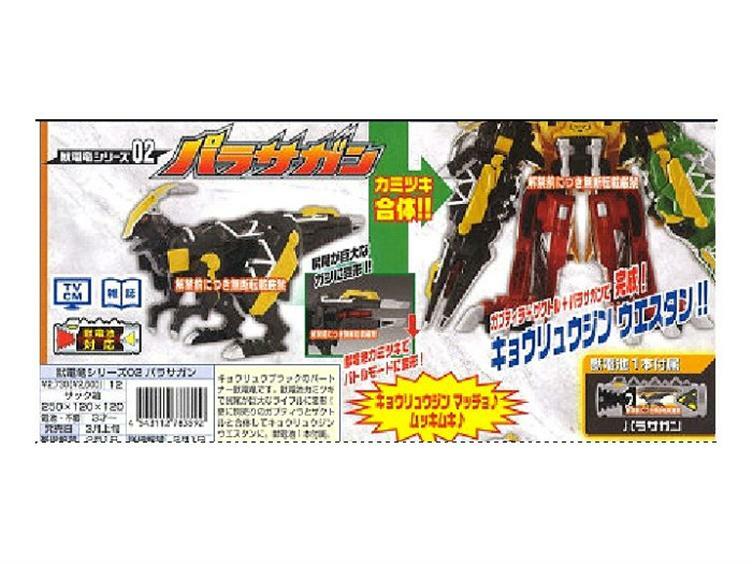 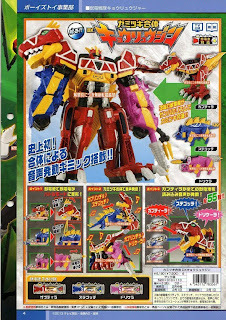 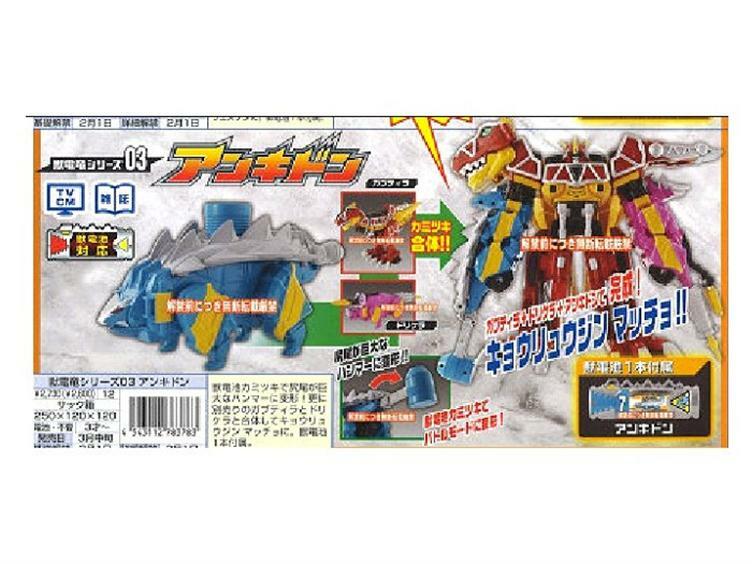 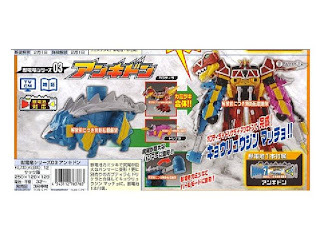 Comes with the JyuDenChi 06 (DinoChaser).